“Let’s see. I ought to lose 10 pounds. And I probably ought to stop smoking. Oh yeah, I need to spend more time with my spouse,” you might say. So you write down these items. New Year’s is a good time to improve yourself. And this time you’ll really keep your resolutions. Uh-huh. Why did you pick these resolutions? They’re hard. They’re important. They’re uplifting. And you’d feel really proud of yourself if you actually accomplished them. So you start out with the best of intentions. The highest of hopes. And a grim determination. Then you break one of them. You forget another. Before you know it, your resolutions have you on your back, all four feet in the air, another victim of resolution road kill. Your self-esteem plummets. Until time lets you forget all about the resolutions. Frankly, this isn’t good for you. It isn’t good for the people you spend time with. It’s bold, breathtaking, and BIG. It feeds your need to be uplifted. It gives you a steely look and the calm confidence of a poker player holding four Aces. THE BIG TRUTH: Most of your problems are caused by other people. Your life would be a whole lot smoother if other people were way more considerate of your wants and needs. Of your hopes and expectations. Your life would be a whole lot better if other people would stop being so selfish. Always putting themselves first. Always thinking about their problems. Always wanting things their way. Most religions teach that it is better to give than to receive. So what is the greatest gift you can give to others? The opportunity for them to give. THE MODEST PROPOSAL: Write New Year’s Resolutions for other people. Tell them exactly how they can make your life better, and nicer, and happier. Why should you lose 10 pounds? After all, how many times do you look in the mirror each day? They should lose 10 pounds. You look at them more often than you look at yourself. Why should you stop smoking? They should learn to appreciate the fragrant smell of burning tobacco. And enjoy the process of scooping up ashes that have fallen in the wrong place. And cleaning out ashtrays. Why should you spend more time with your spouse? She should appreciate the spare moments you ration out. After all, the rare is the precious. If diamonds were commonplace, who would value them? If your time were commonplace, would your wife really appreciate you? Remember, most of your problems are caused by other people. That means that most of your solutions can be provided by other people. Unless they insist on selfishness. Maybe your friends don’t call you often enough. Or invite you to dinner regularly. Or listen in rapt attention when you repeat your story for the 11th time. It is better to give than to receive. Help them give. 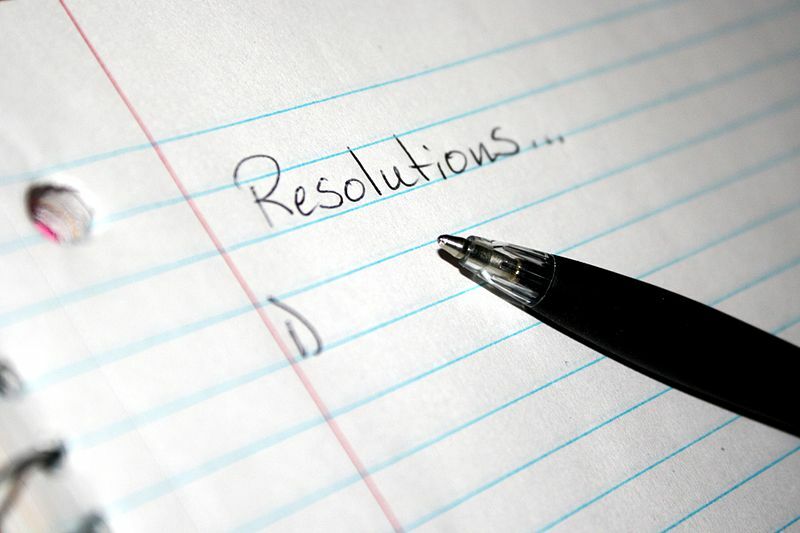 Write their resolutions so that they can learn to give and give and give. Write their resolutions so they can grow and grow and grow. So they can be more worthy of being your friend. So make up a list of your friends. Write out their New Year’s Resolutions. The resolutions that put you first. The resolutions that make them better friends. Resolutions that let them live to give. If they keep those resolutions, they’ll become stronger and better. If they fail to keep the New Year’s Resolutions you wrote for them, they will feel frustrated. Guilty. They will suffer plummeting self-esteem. Help your friends become better people. Write their New Year’s Resolutions today. Some day they’ll thank you. Kids and Dangerous Houses: Should the Government Step In?